As part of our effort to introduce children in our neighbourhood to different kinds of arts and skills, we had organized an Origami workshop at the lake on 23rd October 2016. Origami, as Sapana Rawat, resident of South City and a PNLIT volunteer explains below, is the delicate art of paper folding. Mr. Ravi Acharya who's been practising this art for over 25 years or more conducted the first workshop for 15 children at the lake. A report by Sapana is below. 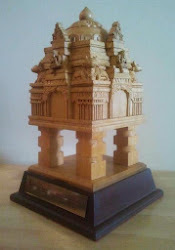 Some photos taken by Nidhi Chawla can be seen here. If you'd like your child to learn from Mr. Acharya, please email . Depending on the number of responses received, we will request him to take another session. On a bright sunny Sunday morning at 11 a.m., we had 15 children from age 8 yrs to 11 yrs join Shri Ravi Acharya for an Origami session at the gazebo of our beautiful Puttenahalli Lake. 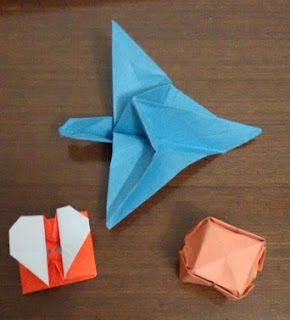 Ravi Acharya, a smiling 70-year old Origami artist, gave out origami paper to the children while showing various Origami items- birds, flowers, baskets, table, boxes of various shapes and sizes- that children could make with him. All the children (and the adult PNLIT volunteers and trustees!) got excited seeing the flapping bird, so off we started with it only to realise in 3 folds that this is going to be a hard one to make. Acharyaji very patiently worked with each child showing how to fold and crease the paper neatly. A couple of older children got the hang of folding very easily and were happy to finish their art work ahead of the younger ones. The younger ones with sad faces saying -"I don't know how to do this" were lovingly helped by the teacher. The older children also joined in helping the younger ones -showing off what they have learned but also guiding the little ones. It was heartening to see the children helping each other out. After the challenging flapping bird, everyone wanted a simple, easy-to-make item! So a heart-shaped message box was selected, which did turn out to be simple. The children managed to finish making it by themselves with some help here and there. By now it was more than hour since we started but the children wanted to do one last item. Again everyone wanted something simple but different, so we voted for a table, and like the bird, this too turned out to be a tough one to make. Surprisingly, no one gave up and Acharyaji helped each child to finish the table. This tiny table created a with a small square of paper can hold 2-3 cell phones easily. Yes, this was tested by the children once they finished their tables! At the end of the session, origami papers were given to the children to take home and practice the same or other items. After almost two hours of Origami, the happy and hungry children (and adults) went home to eat and try their folds and creases all over again. Origami is an art of paper folding. Ori means "folding", and kami means "paper". Origami traces its origins to the Japanese who are supposed to have invented this art soon after was paper brought to Japan by the Chinese around the 6th century AD. Though the origin of Origami is Japanese, of late, it is used to include all kinds of paper folding. Ravi Acharya was introduced to Origami in the early 1980s. Since then he has been fascinated by birds, flowers and boxes which he creates using different colours of paper. Origami has been a stress buster for him and now, after his retirement he loves teaching and spreading love for this art . Visitors to the lake sometimes ask whether we have introduced the birds to the lake. When we deny this, they want to know how the winged visitors make their way to the lake. How do birds make their way anywhere? How do they know where they can get food? How is it that migratory birds don't lose their way flying as they do thousands of miles across the sky? These are questions beyond our scope. 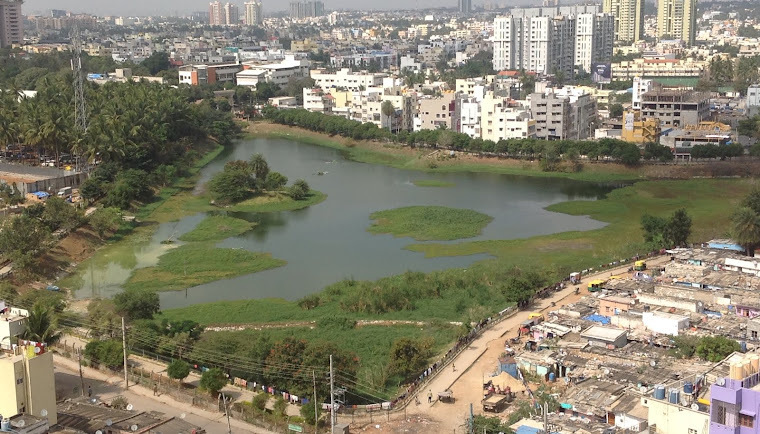 Our endeavour is to make the lake as attractive as possible to them, local or migrants. While we can spot most of the resident birds, the smaller ones hidden in the foliage give us the slip. This is why we rely heavily on sharp eyed bird watchers who are patient, prepared to spend time, listen to bird calls and so on. A few of them like Madhurima Das send us updates on the birds she sees at the lake every weekend (and also logs them on eBird). We occasionally share these in this forum. Many of the birders don't mail us, but post their sightings in the eBird check list. I visited this site today and am pleasantly surprised to find that they have collectively spotted 96 species at the lake!! Some of them like the Common Hawk-Cuckoo (spotted on 3rd Sept 2016 by Tarun Menon); Common Iora (1st July 2016, Manidip Mandal) or Asian Palm-Swift (3rd May 2016, Vidhya Sundar) are first sightings at the lake! If we manage to contact these experts, we'll get the photographs of these birds and share them with you. In the meantime, do please visit the "Puttakere" hotspot on eBird: http://ebird.org/ebird/hotspot/L2583597. Do go to the lake yourselves to see the birds, take photos and send them to us. Recording your sightings on eBird will help in tracking. Half way through October and we are eagerly waiting for the first of the migratory birds to arrive at the lake. According to Madhurima, who's been keeping a track on the birds, by this time last year, the Grey Wagtail and Brown Shrike had already made an appearance. Nevertheless Madhurima spotted today a bird that was last seen at the lake on 3rd Dec. 2011. This is the Cotton Pygmy Goose. A female chose to visit the lake. Said to be the smallest waterfowl in the world, Madhurima managed to get a shot from a distance. Two other photos by Madhurima are of a snake in water which is as green as the grass unlike the one of the island in the middle of the greyish water. Indeed, the play of light on the water makes it shimmer with such lovely colours from dawn through the day! Of our three students who completed 12th last year, Deepu joined an engineering college and Ramya, B.Com, both taking a step closer to achieving their dream of becoming an Engineer and Chartered Accountant. Sadiqa had wanted to do Medicine but not only did she get 71% in the board exam, her CET ranking too was disappointing. Ever since the results were announced, there was no news of her. Of the three, she had been the quietest and the brightest but perhaps she wasn't as lucky, we thought. Yesterday while waiting for a bus, she joined me with a big, happy smile. We boarded the bus together and caught up with lost time. Sadiqa said she had grown to hate Biology and hence done poorly in the exams. She took time to decide which subjects she liked the best and changed her direction from Medicine. She joined Vijaya College for B.Sc in Statistics, Maths and Computers. She likes Maths but finds Statistics even more interesting and wants to do Masters in this. The once quiet girl rattled off all this in excellent English oblivious of other passengers in the crowded bus looking curiously at us. When questioned she said that at +2, the teachers had taught in English. Her language skill developed and so did her interest in reading books in English and Hindi. She is grateful for the coaching PNLIT had arranged for her and is now taking classes for other underprivileged children! The classes are being held in the veranda of a house in Arekere Mico Layout. She gets a small amount for this. More importantly, Sadiqa has realized that she likes to teach and wants to do so professionally after her post graduation. At PNLIT we only facilitated the classes. The entire credit of moulding these young achievers go to their teachers - Ramakrishna Rao, Lalitha Kamath, Beena Ramesh, Hema Nair from South City, Sudha Veeramani, Vijetha Sanjay, Dr. C.S.N Iyer, Seema Doraiswamy from Brigade Millennium, Vivek Krishna from RBI Layout and Ancy Tom all the way from BTM Layout. Kudos! For various reasons including lack of manpower to coordinate, our classes at the lake programme has been irregular, but after meeting Sadiqa, I wonder if we should resume it actively again. We can perhaps help more Sadiqas, Deepus and Ramyas?